Have you always wanted to knit socks? Here's your chance! 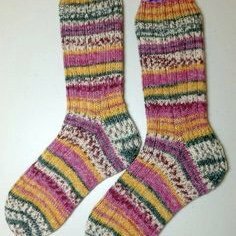 Before you cast on your first sock, you will knit a mini sock! This will familiarize you with all parts of the sock prior to beginning your first sock. If you do not know how to knit in the round, come into the shop some time before the class (not the day of) and we can teach you how. You will find out just how portable this project can be. Paid registration is a must to secure your spot in this class. Supplies must be purchased at Dixie Knits. A 10% discount will be applied to class supplies. Requirements: Need to be able to Knit, Purl, Increase, Decrease, knit in the round.